F4 comes together again. 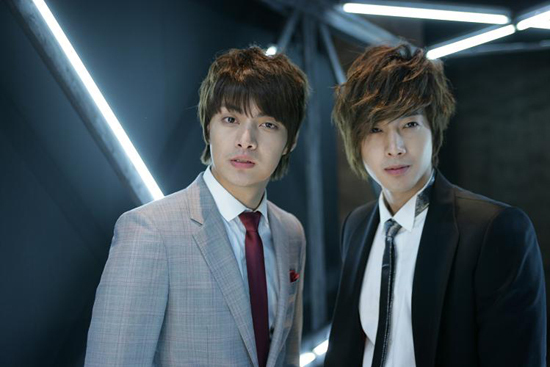 SS501’s Kim HyunJoong made a friendship appearance in T-Max Kim Joon’s first solo music video. 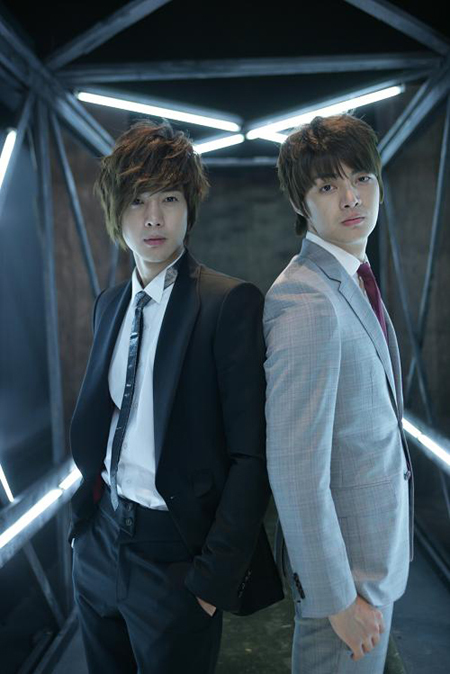 Kim Joon and Kim HyunJoong are dressed in clean sleek formal attires as their concept for ‘Flower Boy’ image during the filming, and the two of them work in perfect harmony. Meanwhile, Kim Joon is concurrently having his activities with T-Max ans KBS 2TV ‘Unbeatable Baseball Team’. Boys Over Flowers F4 Kim Joon and Kim Hyun Joong meet again. They met to shoot the MV ‘Jun, Be Ok!’ solo song from Kim Joon off T-Max upcoming album. SS501 Kim Hyun Joong will star in the MV as well. The MV was shot not long ago in a filming set in GyeongGiDo and Kim Hyun Joong had came to help out for Kim Joon’s first solo songs. Kim Joon will also meet fans through his masculine features in the MV ‘Joon, Be OK!’. Meanwhile, the upcoming album by T-Max will released on 9th July. According to Planet 905, “Kim Hyun Joong and Kim Joon have similar backgrounds in the entertainment industry, be it acting, solo songs, etc, so they are able to understand each others’ situation very well. Hyun Joong wanted to show his support despite his busy schedule.” Kim Hyun Joong had also appeared at Lee Min Ho’s fan meeting, showing the deep friendship that he has formed with the other F4 members. Kim Joon’s solo MV starring Kim Hyun Joong will be out on 9th July. Kim Joon’s solo song will be included on T-Max’s new album, out on the same day.